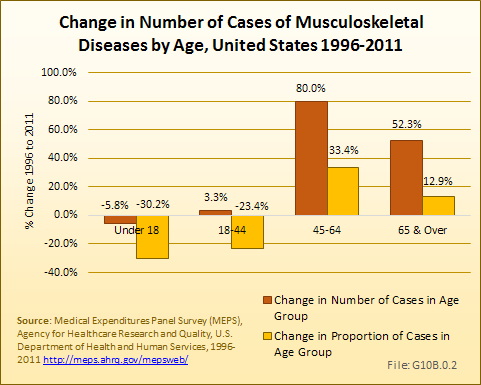 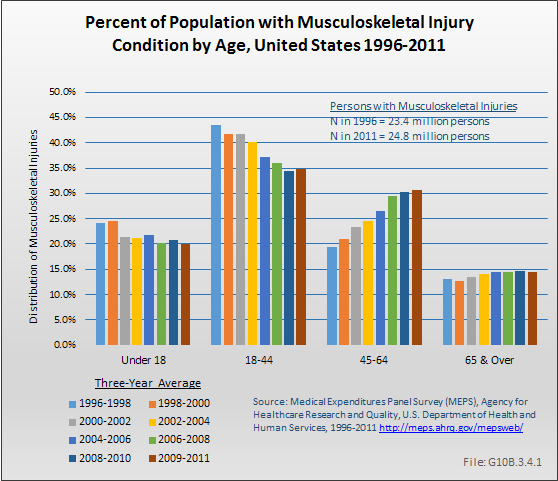 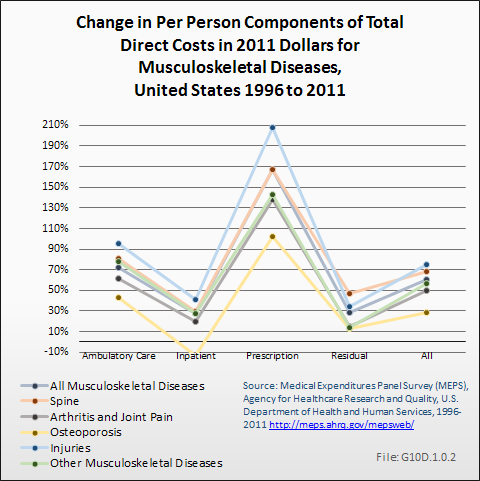 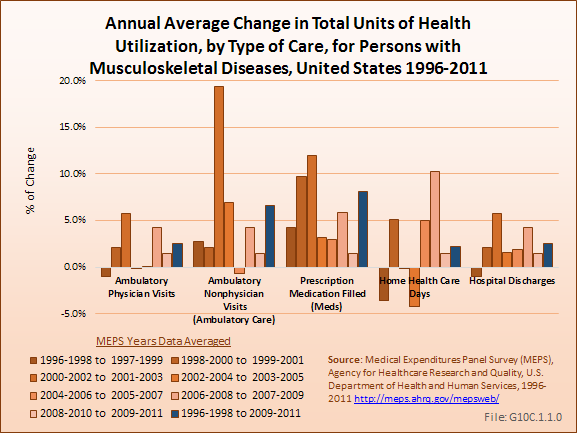 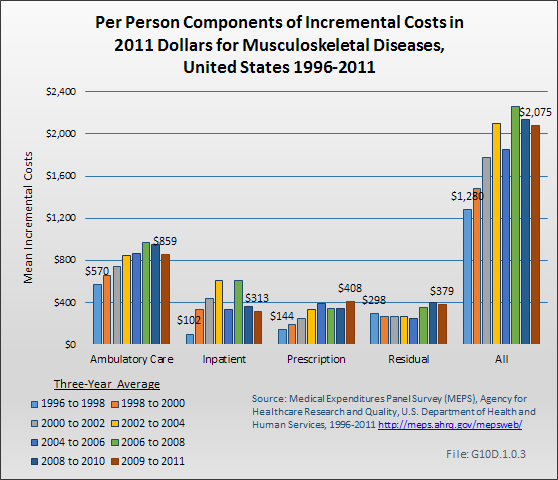 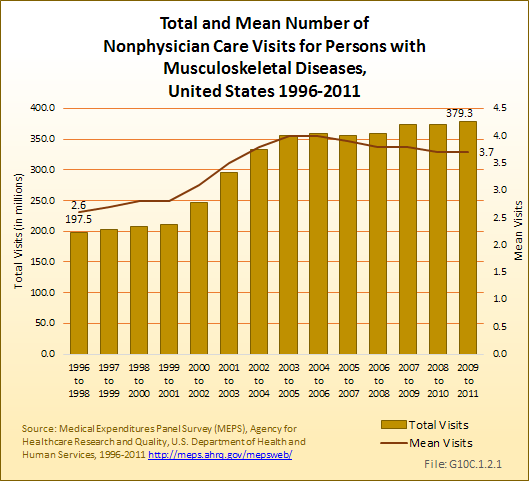 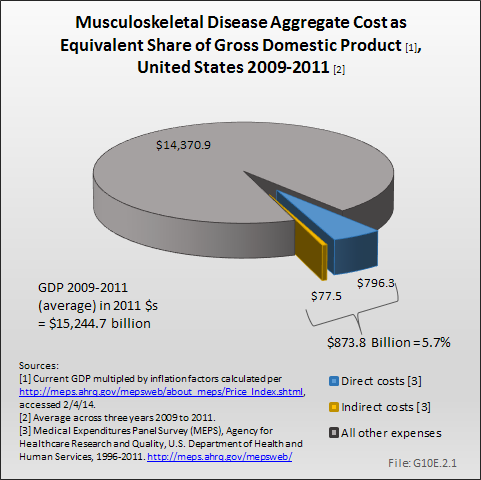 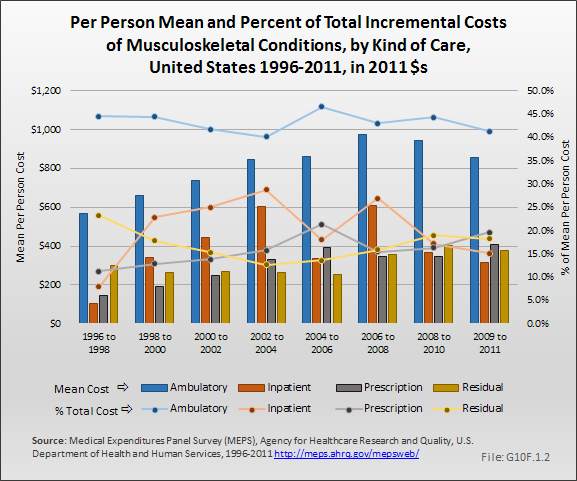 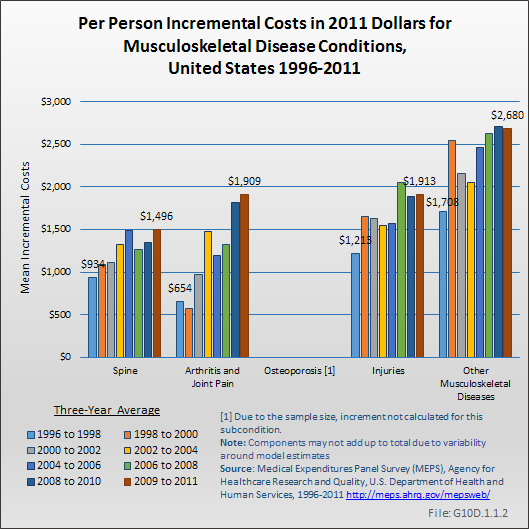 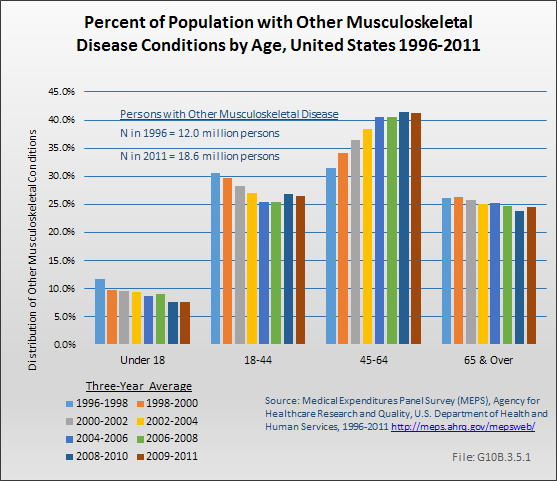 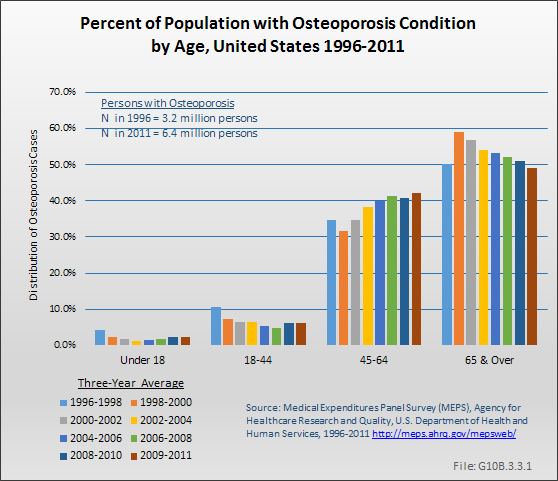 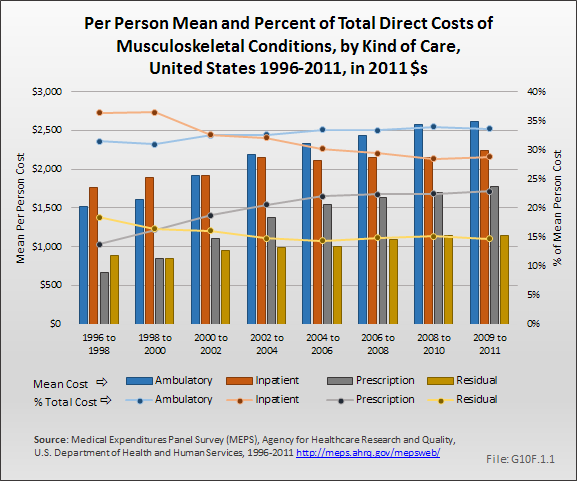 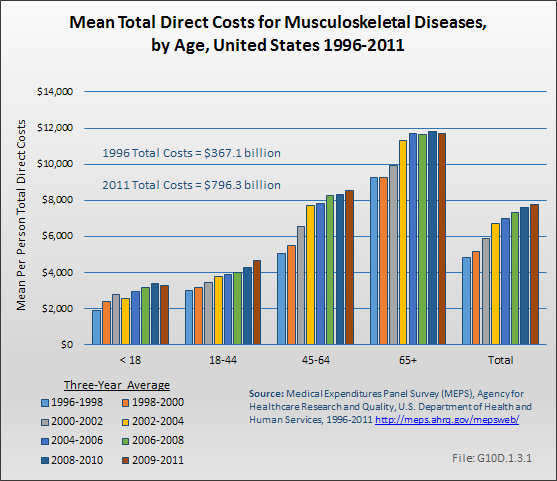 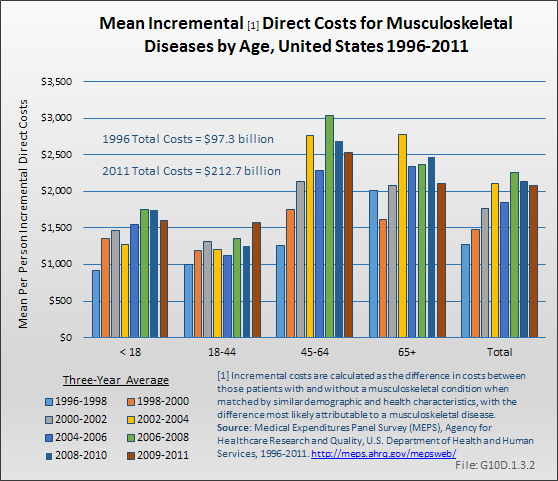 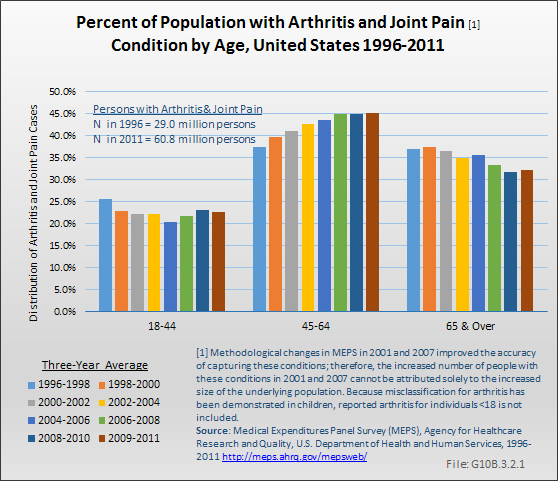 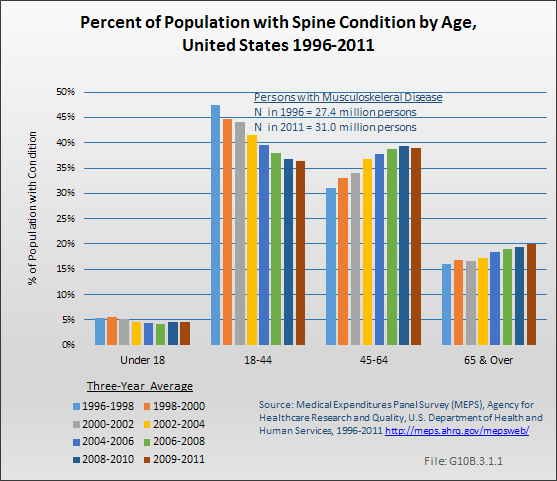 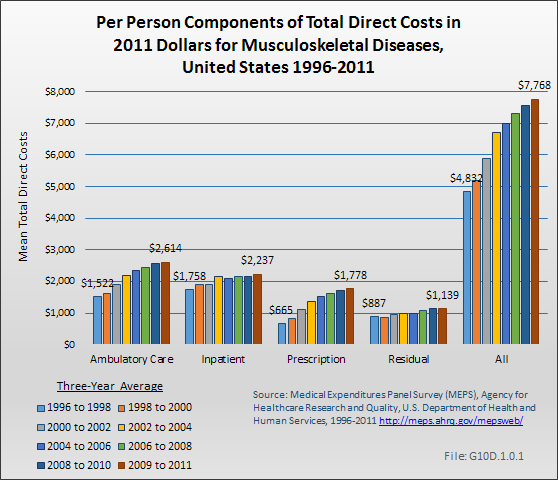 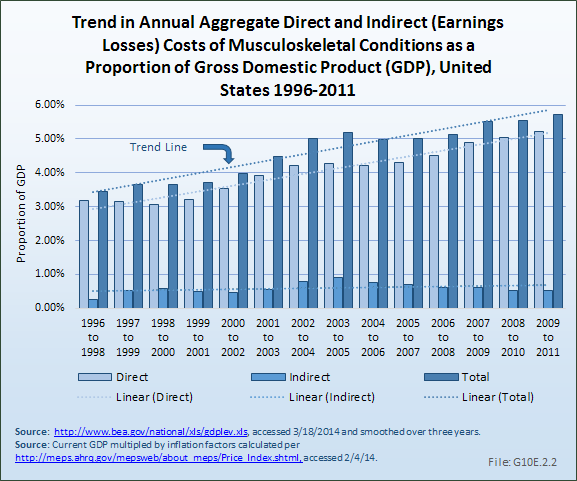 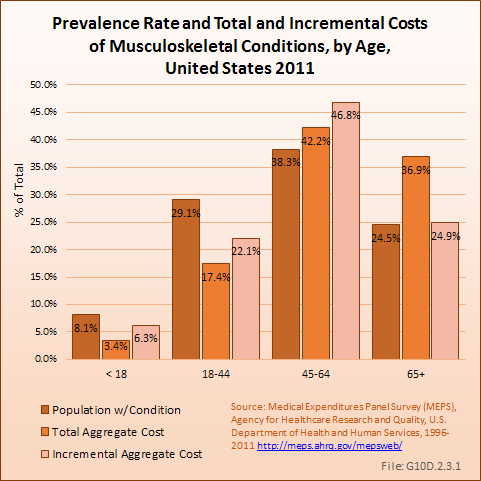 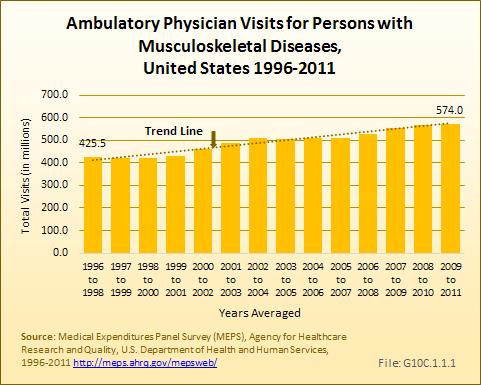 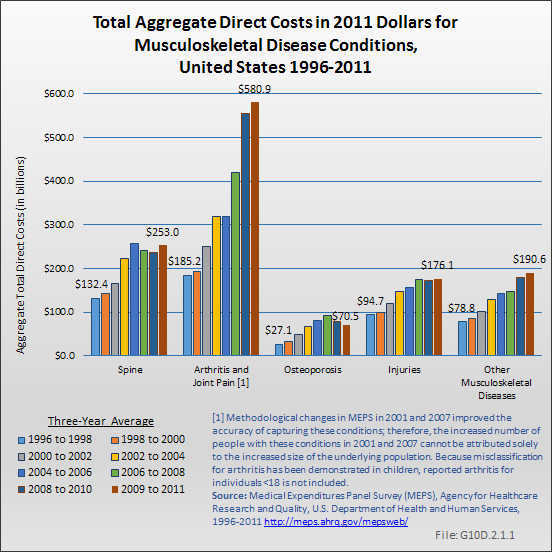 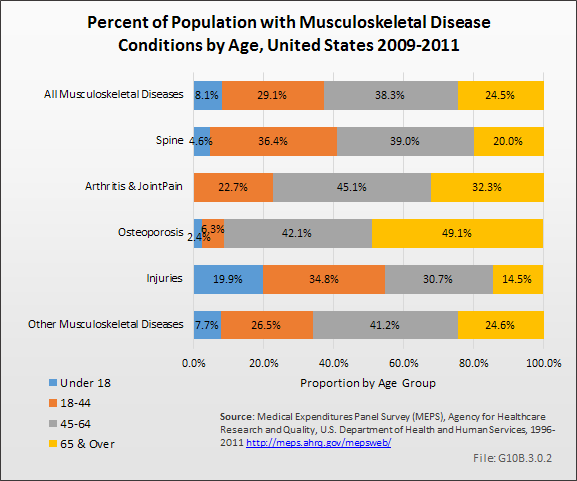 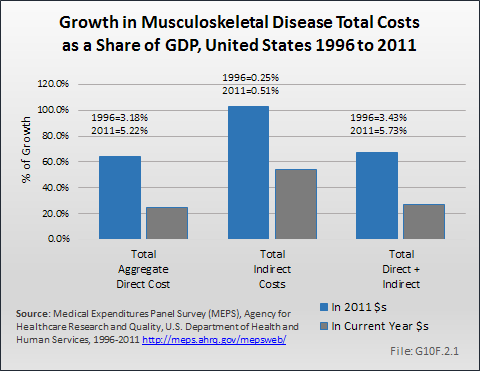 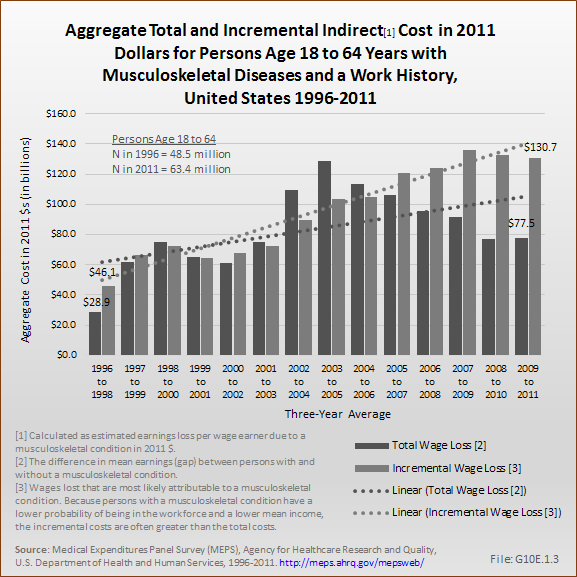 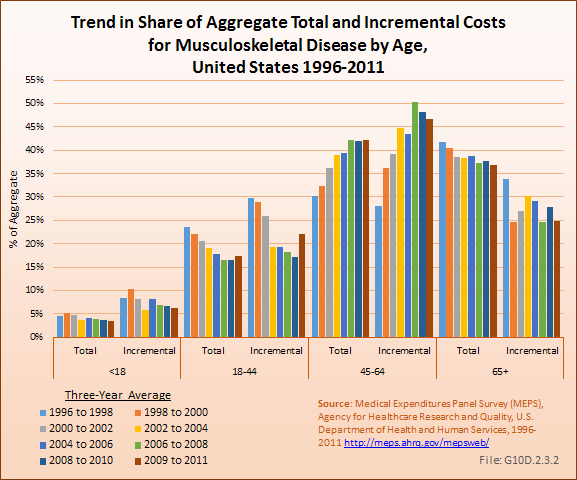 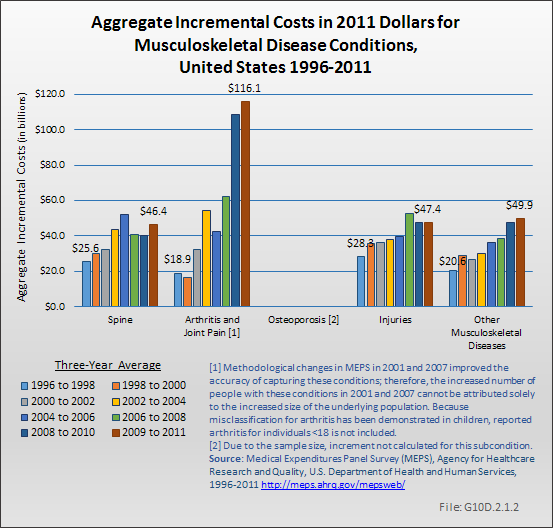 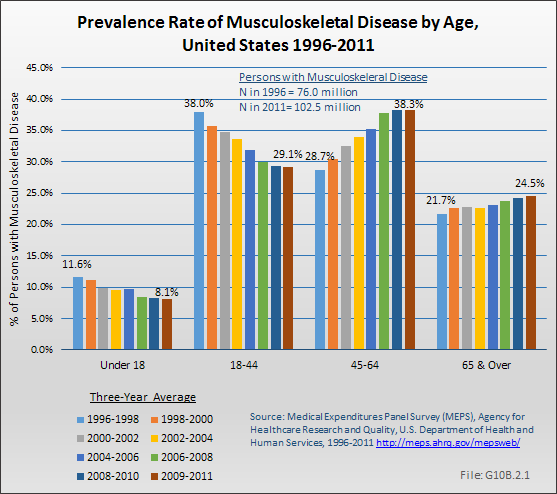 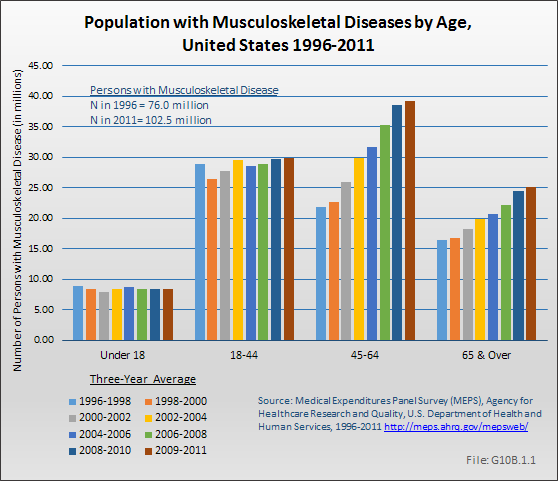 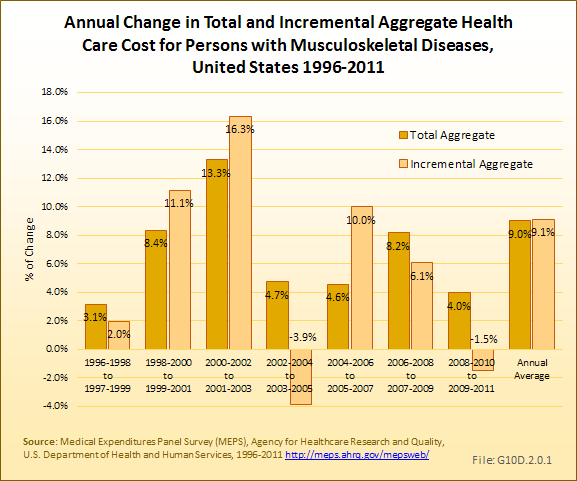 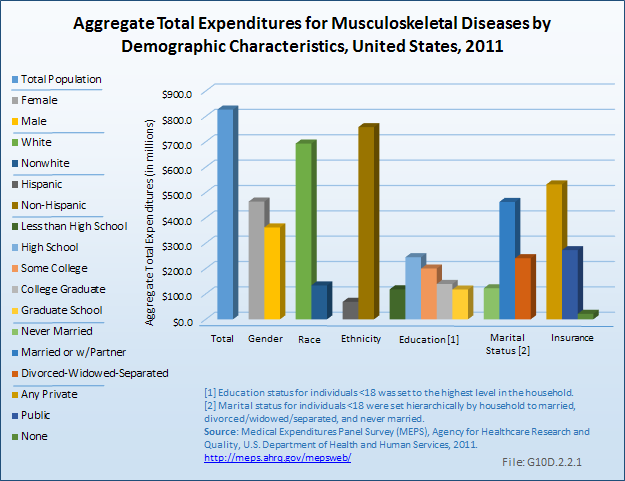 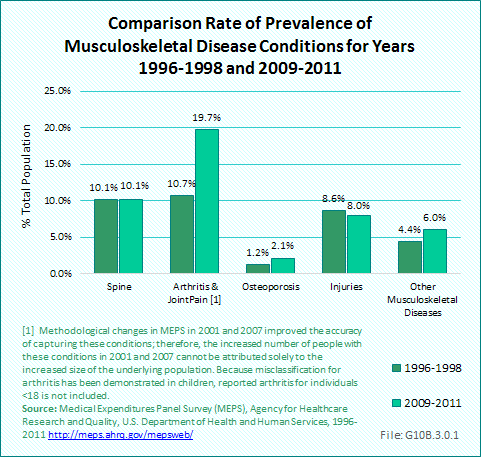 Expenditures for musculoskeletal diseases did not differ substantially by gender, race, and education level in 2011. 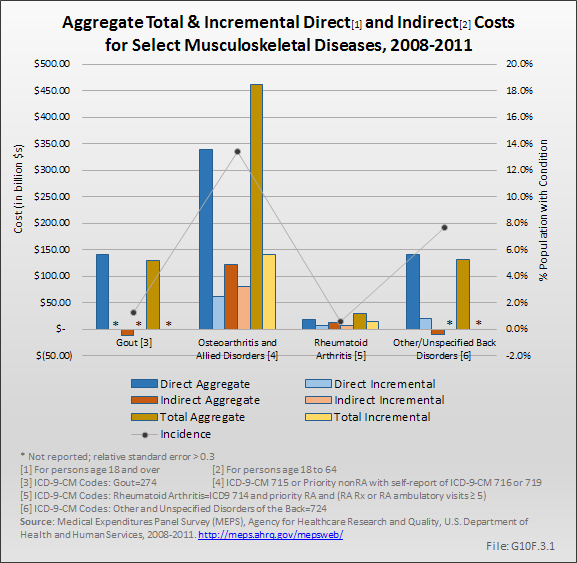 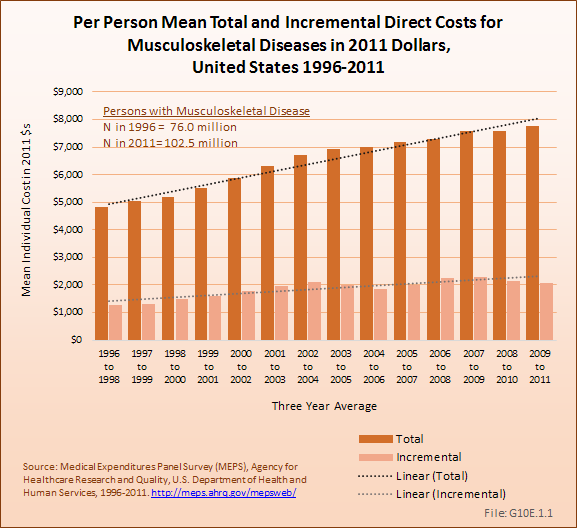 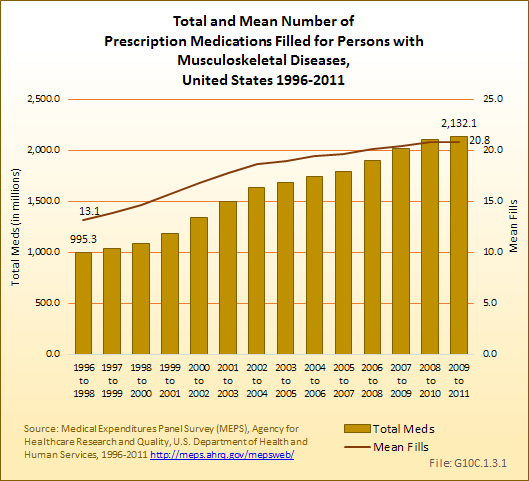 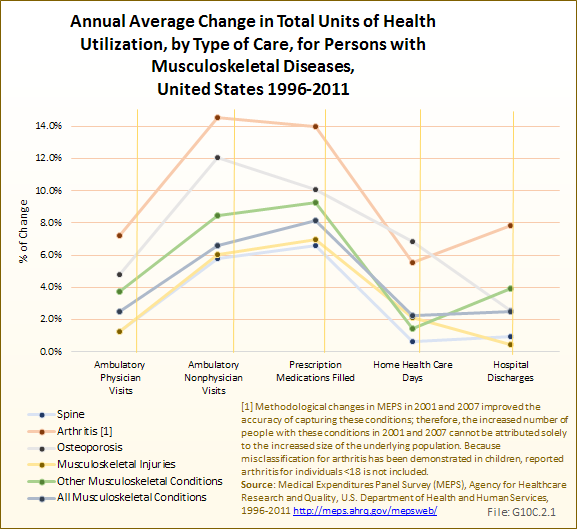 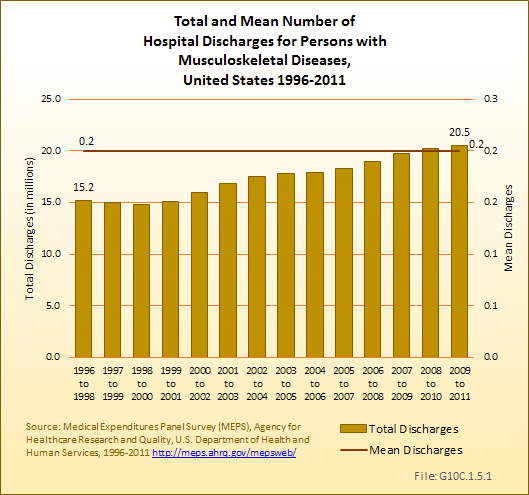 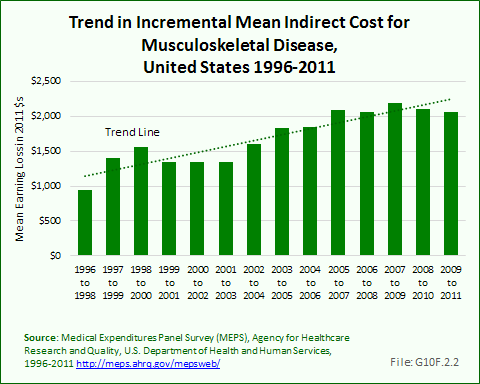 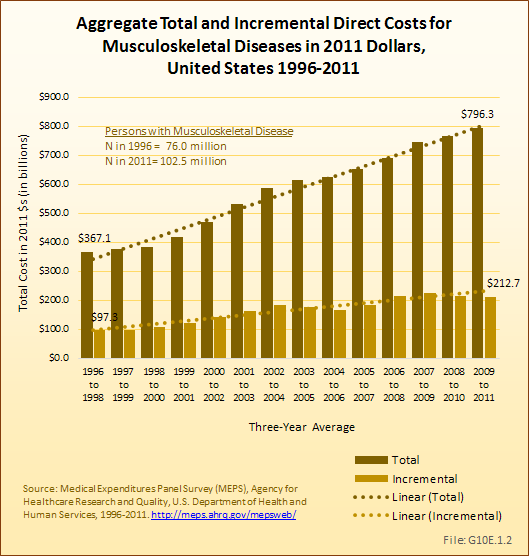 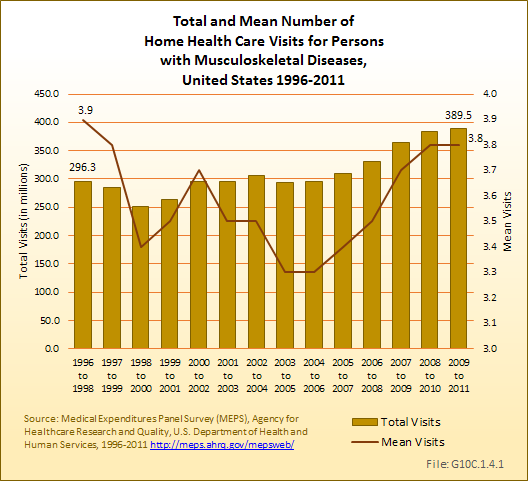 On an unadjusted basis, women with musculoskeletal diseases had only 3% higher average expenditures than men. 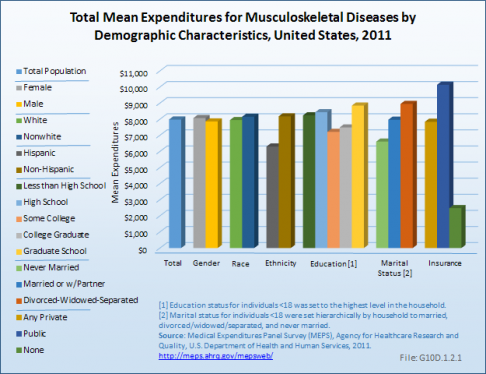 Nonwhites also had 3% higher expenditures than whites. On the other hand, non-Hispanics report 30% higher expenditures than Hispanics, and those who are married or divorced, separated, or widowed had substantially higher expenditures than those who have never married (presumably due to age). 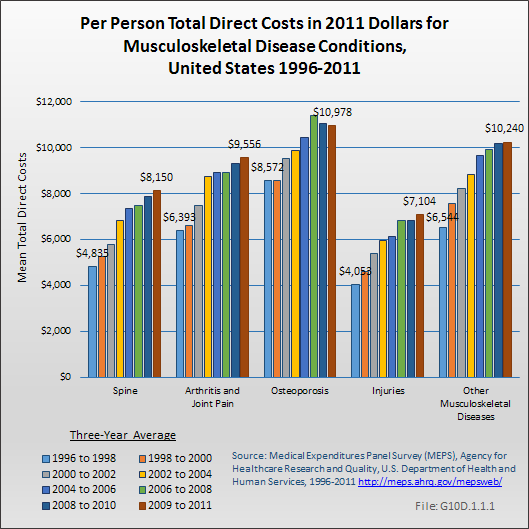 Persons who are divorced, widowed, or separated, at $8,951, had the highest unadjusted mean expenditures for musculoskeletal diseases.